The Raspberry Pi is a low cost, credit card sized computer with big features! 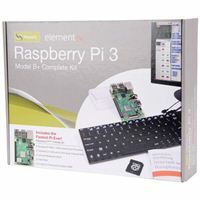 Capabilities like built-in word processing, spreadsheets, image editing and compatibility with many standard computer peripherals makes the Pi a formidable option for those who like to keep computing small and simple. 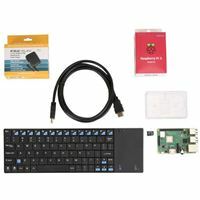 This kit includes everything you need to get started using the Raspberry Pi, including a mini keyboard with touchpad. 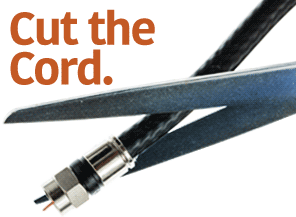 Just hook up to your monitor to start computing.